If you didn’t file your taxes yesterday then this blog will do nothing for you in terms of working this out with the IRS. If you did file your taxes, way to go! 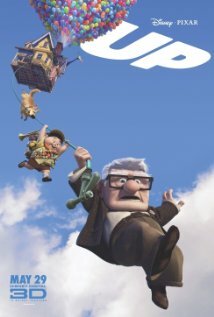 This post is really about death and the movie Up. It’s a really great story about love, adventure, loss, life, the works. Oh how I love animated films. As the movie begins, Carl meets Ellie through a shared love for adventure. As time passes, life goes on. Carl and Ellie grow up, get married and eventually Ellie passes away before Carl. After Lola watches this part, the following conversation takes place between her and my husband. Lola: Dada, I don’t want that to happen. My husband: What do you mean? Get older? Lola: (Very seriously) Yes, I don’t want to get older. My husband: Sweetie, we all get older. Lola: And then we die? My husband: Well, our bodies don’t last forever. Lola starts crying: I don’t want this to happen to me. Who knew Up would elicit such a response. I guess at 4 she’s figuring things out. Yesterday, my husband and daughter came home for a quick wardrobe change. I was in the bathroom. This is the quick conversation that followed. Lola: Mama, where are you? My husband: Lola, momma is in the bathroom. Lola – heading toward the bathroom. My husband: Lola, let’s leave mom alone. She doesn’t feel good. Awesome. I guess there is really only so much she understands. All this death talk, did strengthen Lola’s resolve to eat salads. I wonder if that is my silver lining? This entry was posted in Because it's funny, Life, Parenting: AKA - I Don't Know Any More Than You Do and tagged Adventure, Death, Life, Taxes, Up. Bookmark the permalink.